Africa is big. Really, really, really, really big. I was lucky enough to recently visit South Africa…the most southern part of Africa. I enjoyed the food very much but as we go almost 7,000 miles north (that would be over twice the length of America coast to coast), I was curious to see if there were any similarities to what I had encountered in the south. Unsurprisingly, no not really. Whereas South Africa was colonized by the English and Dutch, Algeria was of course part of the Ottoman Empire and reflects this more than even the French presence in the 19th and 20th centuries. I have always found it interesting that no one (in the West at least) thinks about the Ottoman Empire with any sense of grandeur. Our standard for empires is Roman of course, which lasted the better part of 500 years before moving to the east and becoming Byzantine. Yet this is still roughly 100 years shorter than the Ottoman Empire ruled. How does this relate to food you ask? The Berbers or Amazigh peoples of North Africa were the indigenous folk and have had the largest influence on cuisine in Algeria. Although many are not familiar with the Berbers, they have heard the antiquated moniker “Barbary Coast”. This is the former name for the region of North African region west of Egypt. This area is known for its use of many ingredients including lamb. I’ve actually never cooked with lamb before so I looked for a dish that emphasized its flavor and texture potential. I decided on Harira, a ubiquitous soup of the Maghreb (formerly Barbary) region. The challenge of this dish for my wife and I was trying to like cilantro. This herb that grows from coriander seeds is known for its potent and lively flavor popular in cuisines from India to Mexico. In my experience, it just bulldozes over other more subtle flavors which is why I don’t usually cook with it. In addition to the main course I made Kesra which is a simple traditional semolina flatbread. How did it go? Well… it was really tasty and I liked it the best of the three countries so far. Why does mine not look like a soup as it should? Well, I could write something poetic about making it my own way, or that nothing in this world is perfect, but really; it’s because I cooked it with the lid off by accident and thus it ended up much thicker. The flavors were all there and as I said it was really good, but human error is a natural part of cooking…apparently. The lamb and cinnamon worked unbelievably well together which surprised me greatly. As for the cilantro, I still don’t love the strength of the flavor but it wasn’t terrible and maybe next time I would just cut back a lot on how much is added. All in all I am very pleased and full. Thank you Berbers, for this symphony of spices, which was both filling and healthy. Next we visit the mother from Bewitched…that’s what Andorra is right? This is the consistency my bread dough had before resting. 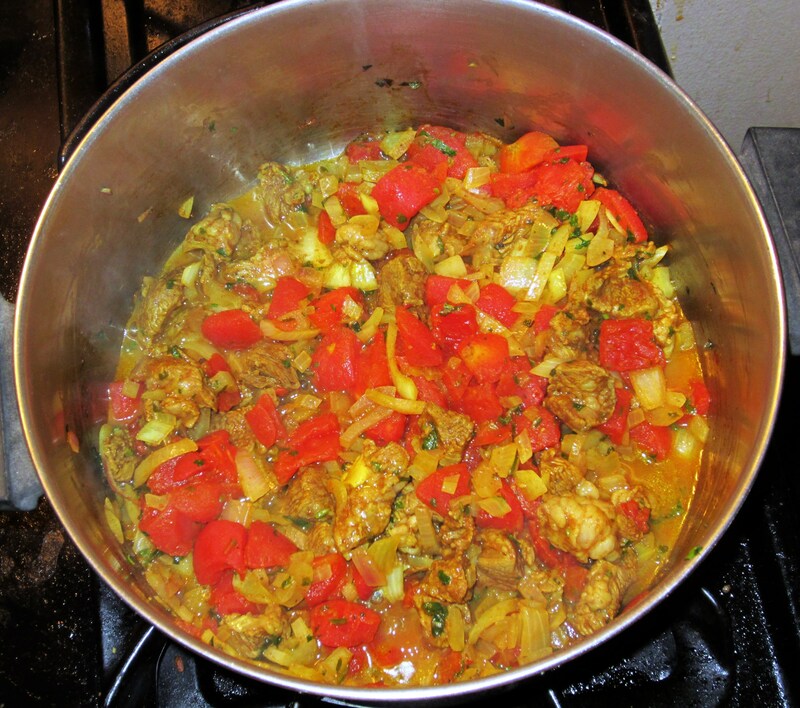 Place the lamb, turmeric, black pepper, cinnamon, ginger, cayenne, butter, celery, onion, and cilantro into a large pot over a low heat. Stir frequently for 5 minutes. Pour tomatoes (reserve juice) into the mixture and let simmer for 15 minutes. Pour tomato juice, 3.5 cups water, and the lentils into the pot. Bring the mixture to a boil, reduce the heat to simmer. Let soup simmer, covered, for at least 1 hour or longer until desired consistency is reached. About 10 minutes before serving turn the heat to medium-high, place chickpeas and noodles into the soup, let cook about 10 minutes. Stir in lemon and egg, let egg cook 1 minute. Mix dry yeast and sugar with very warm water. Set aside for 10-15 minutes to let the yeast proof. Meanwhile, mix salt into the semolina until well blended. Add oil and work the oil into the dry ingredients. This is most easily done by rubbing the flour and oil together with your fingers, until the oil is evenly dispersed. Knead the dough until it is smooth. Set aside and let it rest for 30 minutes. 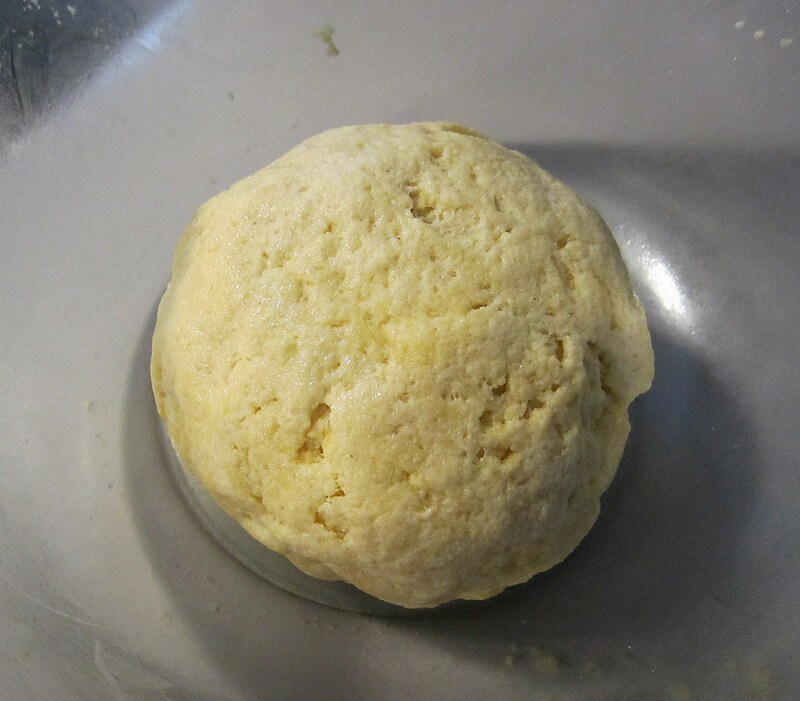 Divide the dough into 8 small balls. Flatten each ball into a circle about 1/4 “ – 1/2 ” thick. 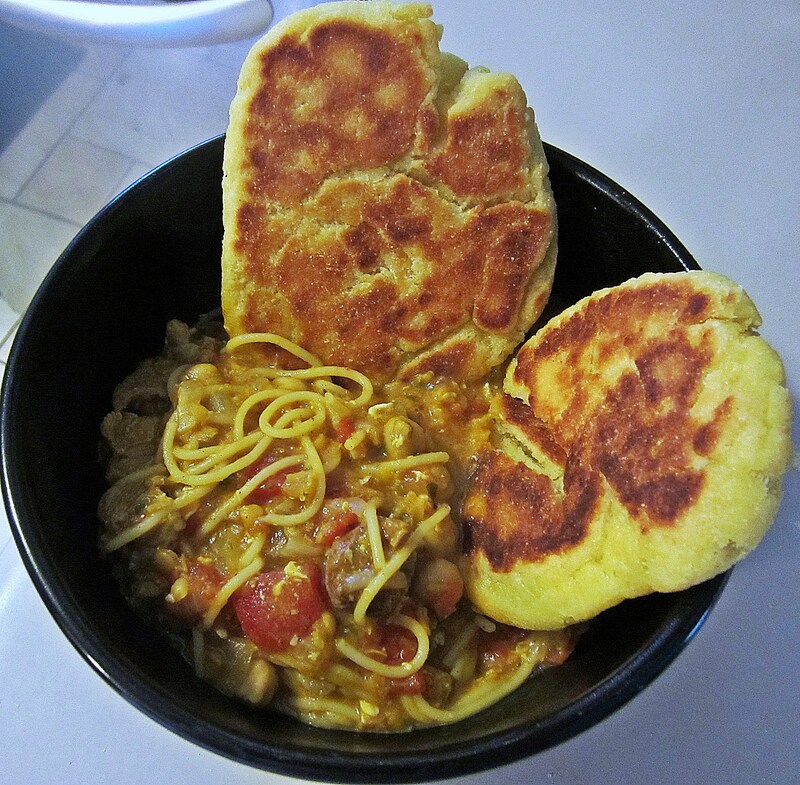 Cook the flatbread in a hot, non-stick pan until browned and puffed on both sides … roughly 10 minutes on each side.